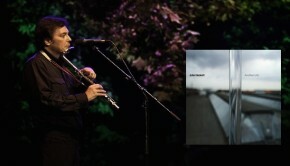 Multi-instrumentalist and session player John Hackett just happens to be the younger brother of Steve, with whom he has contributed some very fine flute work in the past, remember Kim? 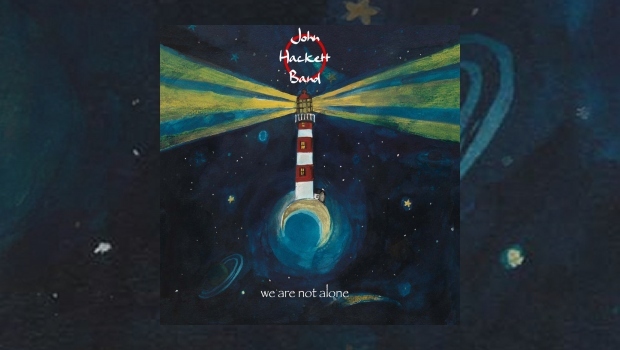 We Are Not Alone is the first album by this latest incarnation of The John Hackett Band, and it’s a great rock album whose secret weapon is classical guitarist Nick Fletcher, who noodles beautifully on Blue Skies of Marazion, but it’s when he plugs in that things start to happen imbuing a blues vibe to the whole recording. John has a pleasant easy listening voice that contrasts wonderfully with this line up whilst the production sounds like they’re playing live in the studio, with the drums nostalgically stereo’d up with everything else relatively effects free, with minimal subtle keyboards provided by the man himself. Take Control sets the scene with its mixture of prog, folk, and blues before tongue in cheek Never Gonna Make a Dime re-tells a childhood memory of his elder sibling busking with his mouth organ on a ship to Canada, and indeed features Genesis’s ex guitarist on that same instrument here. Queenie And St. Elmo’s Perfect Day is a great band show off, where bassist Jeremy Richardson and drummer Duncan Parsons get to shine. There’s funk prog here with the merest whiff of anchorman’s jazz flute, which is no bad thing. Romping through a joyous set of soft rock and then finishing with Winds of Change, an instrumental showcase firmly cementing the aforementioned six-stringer and Mr. Hackett junior as experts in their own fields. 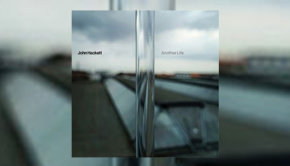 Harder edged than the previous Checking Out Of London and Another Life albums, We Are Not Alone is not to be left out of anyone’s music library and this is going to sound great in a live environment. To gild that very lily, a second CD is included featuring the same band at the Classic Rock Society in 2016 and features highlights from his previous albums as well as cracking versions from his latest. Graced with a cover that would look good nailed to a wall, this is a recommended listen for lovers of well-played music that if you saw them in your local, you’d have to ring home and tell the missus you’re going to be a little late.